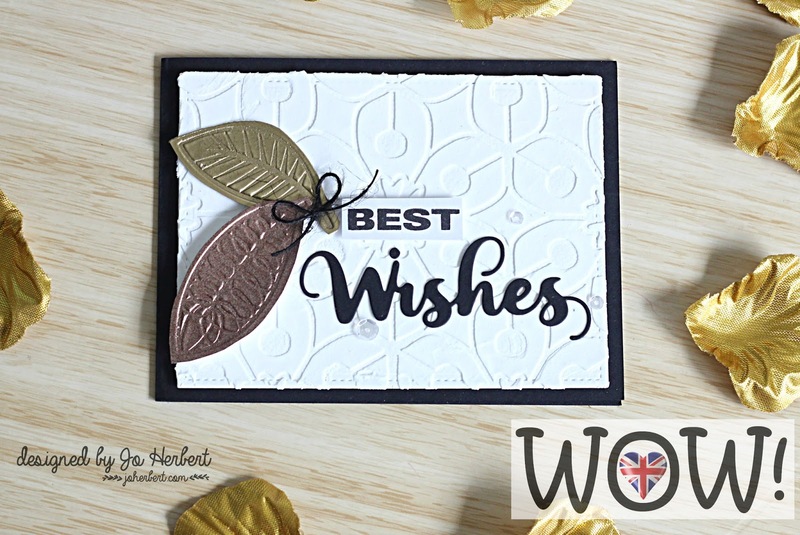 Hello paper crafting peeps Jo here and welcome to today's card creation demonstrating the triple embossing technique. 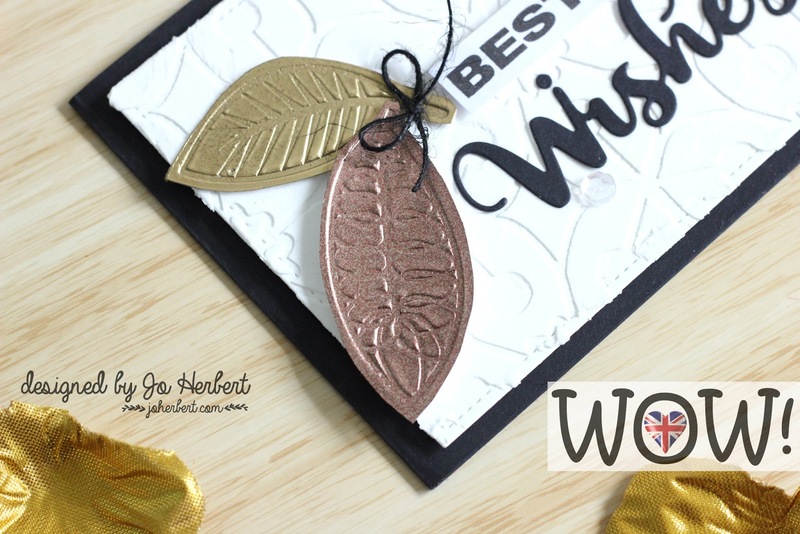 I have created these leaves impressions with the gold & rose gold embossing powders stamping with the Flights of Fancy set. TIP: This technique is a great way for creating your own embellishments. Step 1. 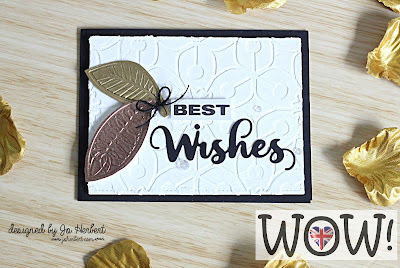 Place the ink pad directly on the cardstock and generously apply the embossing poweder on the ink. Step 2. Heat emboss with the heat gun. Step 3. Repeat steps 1 & 2 3 times over and place the heat gun over the 3rd time round a little extra longer until it turns molten. You will see the difference as the powder almost looks molten or liquidy. TIP: Make sure your stamp is already mounted and ready to stamp for Step 4. Step 4. Working quickly place the stamp while the embossing powder is still molten over the top applying a heavy pressure. Count to 10 and slowly lift off the stamp leaving behind the impression. 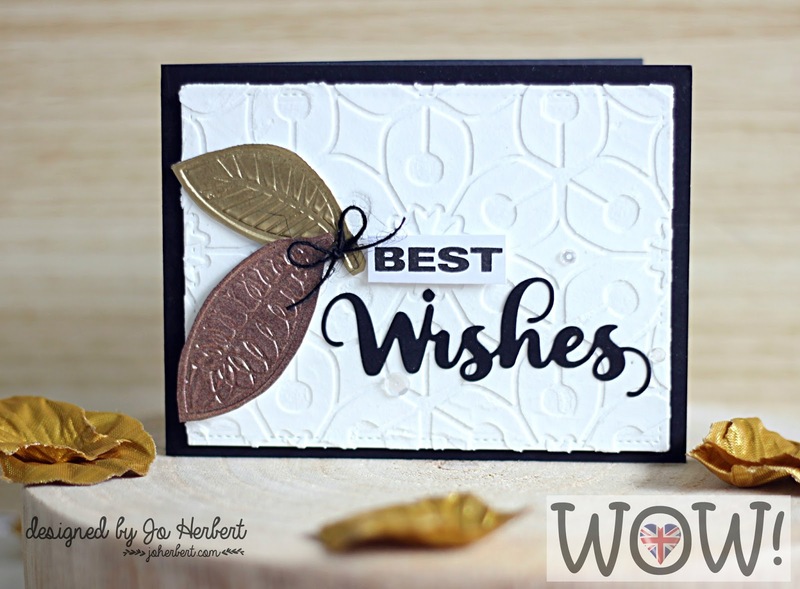 For the card base I have used a stencil and embossing past on a white matted card front to add a added texture to the card. TIP: White on white has a nice subtle effect without taking away the main focal image on your card. Using the Mr WOW Wonderful Words I have stamped with black archival ink the 'best' sentiment to co-ordinate with the wishes die. To finish the card off I have dded some clear sequins adding a little bit of bling to the card. Hope you enjoys today's card tutorial and you tube. Don't forget to subscribe and comment. This is a great technique.Im not familiar with it til now.Thank you. Thanks for sharing this great technique. I love your wonderful card! So surprised that the stamp doesn’t melt. Great card. 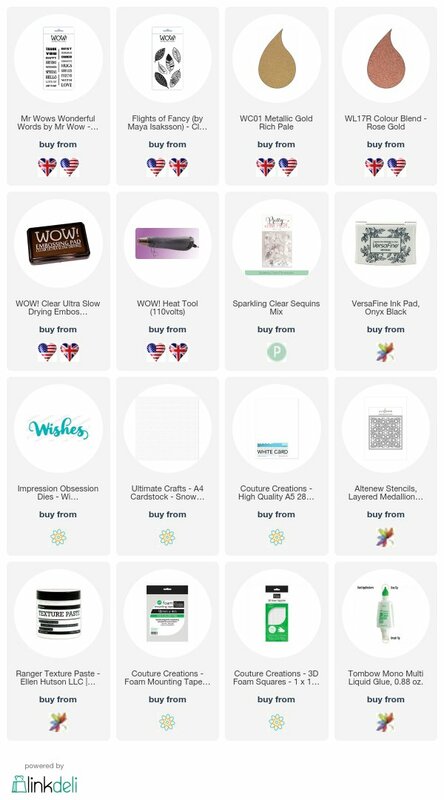 OCTOBER CHALLENGE AND SEPTEMBER WINNER ! !